Meet Charlie (A122166) an 8 year old, male/neutered, Beagle mix looking for a new home. He needs an experienced owner who can help him come out of his shell and see the world in a positive way. True to his nature and breed, Charlie needs all his daily activities to be on leash, as he tends to follow his nose. 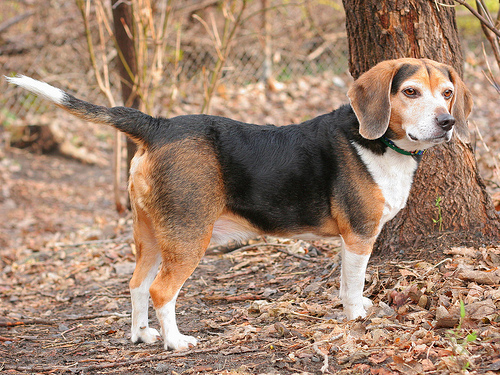 He has the typical beagle bugle and enjoys using it to voice his opinion. Because of this, Charlie is looking for a home without shared walls. He also seems to enjoy the family life as he likes receiving attention from children he meets at the shelter. Charlie doesn’t mind respectful dogs but has no real interest with playing with them. He prefers the company of humans! Are you willing to give an old man a second chance? 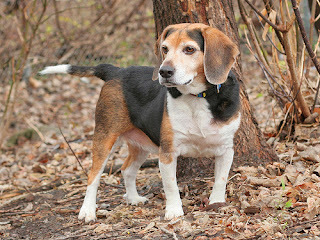 Then come down to shelter and meet him today, or contact the OHS Adoption Centre at 613-725-3166 ext. 258 or send an email to adoptions@ottawahumane.ca.